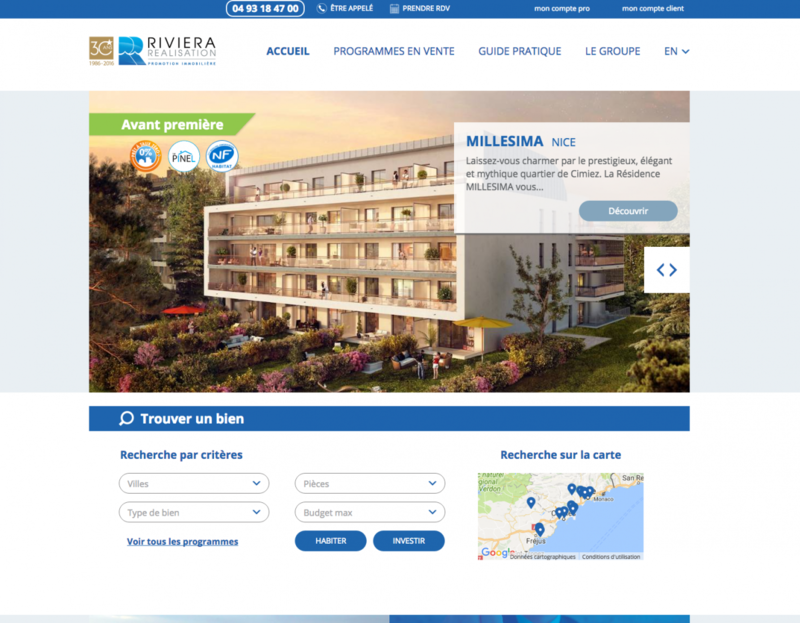 Riviera Realisation is proud to launch his new website, developed to answer to visitors needs. We took into account the majority of the demands of our users in order to improve their visits. Find the information faster, and have the ability to contact or be contacted more easily with our new design. You will also have access to practical guides and advices on new buildings activity. As we’d like to continuously improve our services, don’t hesitate to contact us with your remarks.